The founder and designer, Alicia Bosch, has a passion for beautiful textures, exquisite fabrics and intricate details. During and after completing a BA degree in fashion design, she partook in numerous internships where se gained practical experience from some of our countries most talented designers. Thereafter, the brand was born. Alicia Bosch Couture takes inspiration from an ethereal and poetic world, exuding of delicacy and opulence. This makes our brand the perfect fit for a modern-day romantic that embraces femininity and appreciates craftsmanship. We pride ourselves on the quality of our garments and know they are just as beautiful inside as out. 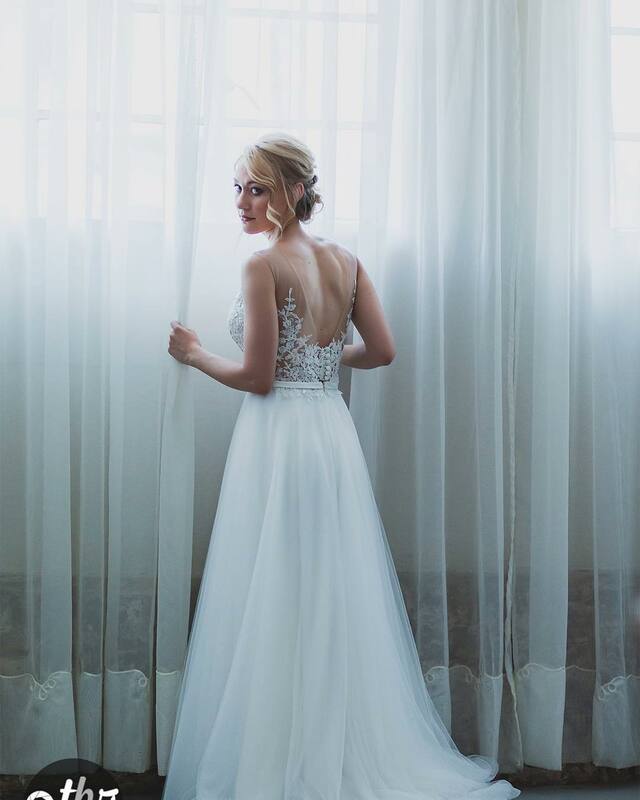 We strive to create your vision and make your dream dress a reality. HAVING A DRESS or DRESSES MADESo you have an idea of what your wedding dress and bridal party dresses should be like. You can’t find it anywhere! So… Why not have it made? By us! We create custom made to measure wedding gowns and wedding party wear as well as evening gowns. With an intimate home environment, we strive to make this process a special and memorable experience whilst giving our clients the utmost comfortable space. As space is limited we work on an appointment only basis to assure that your time with Alicia is utilised in full.